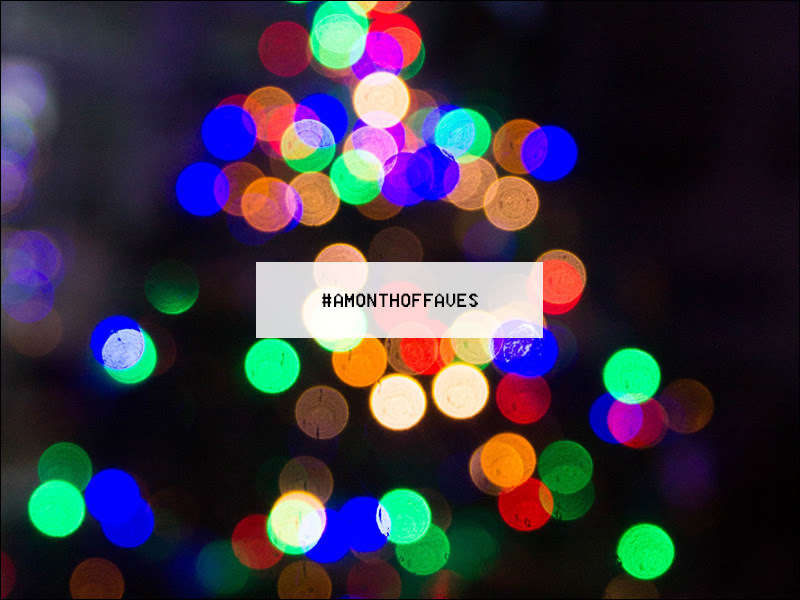 Today’s #AMonthOfFaves is all about I Love December…..
Today’s prompt: Mon. | Dec 18 – I Love … December #AMonthofFaves – Rep your home’s holiday look, share pictures of your holiday decorations. Christmas tree, your favorite holiday traditions, holiday festivities, favorite ornaments, places to go, holiday drinks, holiday eats, holiday themed reads. There’s something about December. Maybe it’s the Christmas music. Or the knowing the year is ending soon and it’s a time to rejoice and hang out with friends and family. Maybe it’s the decorations. Maybe it’s seeing Christmas through a child’s eye- knowing how excited they get for Santa, decorating the tree and opening presents. It’s a combo of many things for me. It’s sitting in front of the tree, watching it lit up and all magical- it’s like a Hallmark story come to life and it makes me think that the things that I wish and hope for in front of the tree will really come true one day. It’s remembering how loved ones from the past did this or that during the holidays- maybe they comically loved or disliked the holidays, maybe there was a story that would always get repeated during the holidays. It’s finding all my fave ornaments and hanging them with care. Going to the mailbox and seeing that people did send me some Christmas cheer. Driving around town looking for who has the best/most gaudy lights. Skipping down the aisles as Christmas music plays and you try to convince your family why THIS decoration needs to come home. December, most of it, is tangible. It can be felt, touched, tasted and more. But what keeps me excited about December is what I can’t touch or explain completely. The blissful feeling, the feeling of joy, the spark of excitement and the shimmer of possibility. Decorating the house: My grandmother went all out on decorating and my mom says that I am a lot like her. I like pretty things! I dance down the aisles listening to Christmas music and I make long pitches on why the burlap Frosty must come home with us. I also love ornaments. When we were kids at my grandmother’s house- she bought each of us an ornament with our names engraved on them. Eventually with 7 grandkids, she narrowed it down to buying just 1 ornament and having all of our names on them. One day, I would love to find all the old ornaments at my grandmother’s house- since she passed away- we don’t have Christmas there. I love picking up my nieces ornaments for the tree as well. I can’t see them all the time and just seeing their ornaments makes me smile. Family time: Over the last few years, family time has changed. My brother has gotten married and now has 2 children of his own. My grandmother passed away. Some of my cousins are unable to make it back home for the holidays. Christmas Eve get together has been moved to another house. But I still love the family and friends time. Even when it’s not where it was, even when it’s changed (well for the most part I love it- sometimes there are some parts of it that make me want to cry for 100 bottles of wine or Sarah Knight’s The Life-Changing Magic of Not Giving a F*ck). Way back in early 2000’s, I had a boyfriend. He was a few years older than me and his family lived in Virginia while he was living in Mississippi. We were somewhat serious, but also terribly wrong for each other (hindsight is a beautiful thing, right?) and I had told him that if he didn’t go home to see his family- he was welcome at my family holidays. It was the first boyfriend I had ever brought to a family get together and the fact that I was bringing him home for Christmas might have had people wondering about our future plans. I tried to prepare him for the madness beforehand. How we did things. What to expect, what to let roll off your back. Who the main players were. Etc. It started off ok. My parents and brother knew him from other times together. But as soon as we got to my grandmother’s… well, it was just crazy. 20 people in an average sized house, 1 adult table, 1 bar area for eating, 1 kids table, and 1 bathroom (where I had been known to hide and hold a towel over my face while I screamed a bit). BUT I HAD TAKEN THE TIME TO PREPARE HIM. I DIDN’T UNDERPLAY THE SITUATION- IN FACT I HAD MAYBE OVERPLAYED IT. I explained how we did gifts. We all unwrap at the same time (my grandmother got all the adults the same stuff- towels and sheets. Plus who has time to watch 15 adults take their sweet time unwrapping gifts)- HIS family did. Which he bitterly complained about. Because in his family- they pass out the gifts and each person, one by freaking one, unwraps the gifts. We’re not huge drinkers. Not against it either, but rarely was alcohol served at my grandmother’s. His family loved their wine and I told him numerous times that if he had to have a drink- it was BYOB. Did he listen? NO. Then it was all about the movie. At my grandmother’s house- the TV was on. It was usually tuned to a holiday movie. But were people watching it? Not really. The men talked in the living room, the women had the kitchen and dining room, and occasionally a trip was made by me to the bathroom for a good screaming in the towel or outside in the cold if the loudness of the house was giving me a headache. At his house, everything was different. They watched movies, specifically The Christmas Story. And by the end of our holiday, I had just about had enough of hearing about how how HIS family did everything right and my family did everything wrong. We broke up for good shortly after the holidays- and the only thing I think he was right about was how funny The Christmas Story is (which I experienced myself a year or 2 later). Pictures: I love pictures and something about Christmas trees, decorations and hot chocolate begs to be photographed! I love the holiday bakign & of course I love A Christmas Story too! Also, your ornamesnts are so much fun & you already know that I love your fiber-optic tree! ❤ Hope you & your family have a Merry hristmas! I’m not a baker (I love other people’s baking 😉 Thank you so much about my ornaments and I def remember how much you adore the fiber-optic tree! Merry Christmas to you and your family as well! Aww! I love all of your ornaments and decorations! My most favorite thing is to sit next to the Christmas tree, early in the morning, with the lights on and read my book; I look forward to it all year! 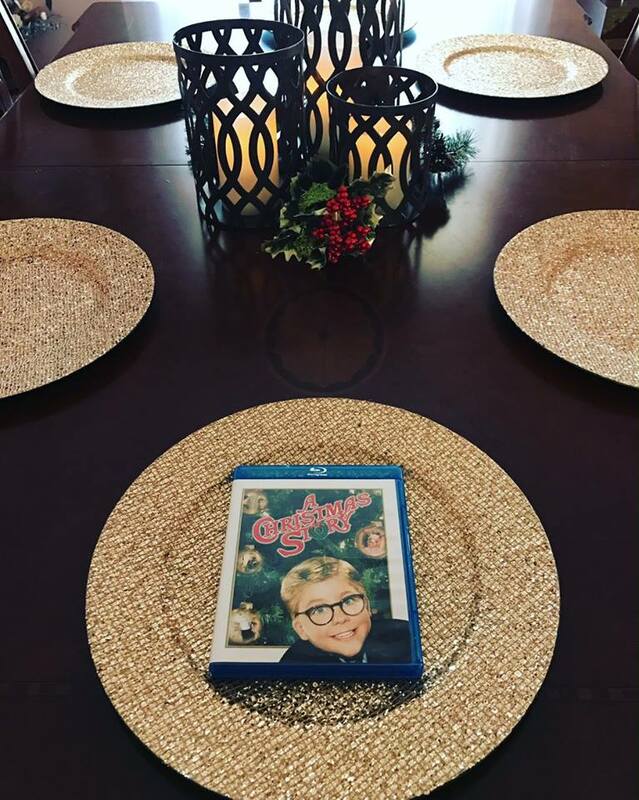 And A Christmas Story is a must-watch EVERY YEAR! I never get tired of it! I love sitting in the living room at night with a glass of wine and watching the lights twinkle. 🙂 Agreed- A Christmas Story is def a must watch. I usually leave it on TBS during the 24 hour marathon.